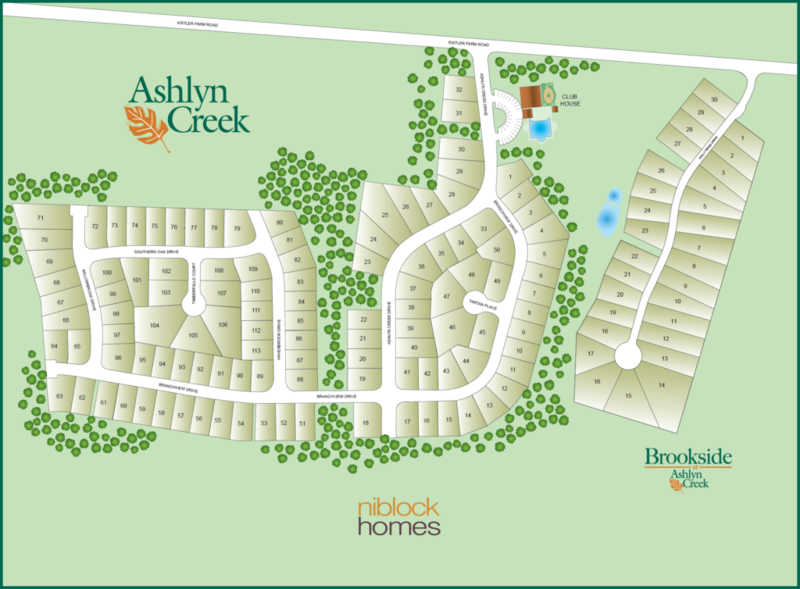 Brookside at Ashlyn Creek is a thriving 150-home community located in desirable Mooresville, NC. Mooresville Graded School District has schools directly across the street - you and the kids are sure to love the convenience. Home prices start in the $330's. This exuberant example of life in the South boasts hospitality and recreation on every block. As you search for a new home, your list of new home dreams may contain the kinds of features and amenities that are rarely fulfilled by one community, or one new home builder. But Ashlyn Creek delivers. That’s why Niblock Homes wants you to explore a place where dreams do come true. Let’s talk about the surrounding amenities, starting with the fact that historic downtown Mooresville is within minutes of your home. This exuberant example of life in the South boasts hospitality and recreation on every block. And Lake Norman is a short drive for those seeking a water-sports haven. With sought after Mooresville schools, a vibrant social scene and an abundance of recreational choices, you can start your search for new homes in Mooresville, NC right here. Ashlyn Creek also features a community pool and pool house.